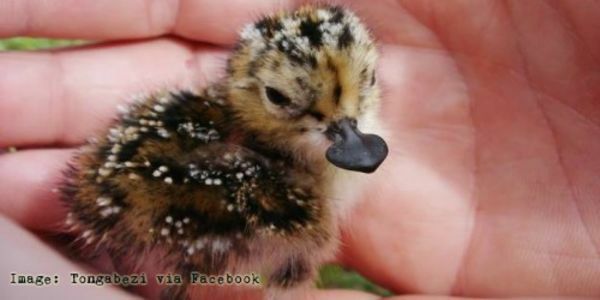 The spoon-billed sandpiper needs your help. The flat-beaked wader bird is listed on the International Union for Conservation of Nature&apos;s Red List as Critically Endangered and without swift action, its situation could go from bad to worse. The birds&apos; most important habitat is the coastal waters of Tiaozini, China. Every year, the mudflats provide a crucial resting ground for the migratory bird on its more than 5,000-mile long journey, that takes it from Arctic Russia to the areas in China and other Asian countries. But each year, more and more of the Jiangsu mudflats are turned into land by the government - 26 square miles so far. Now, the government wants to develop the remaining habitat — 231.5 square miles by 2020 — leaving the last remaining 650 birds on Earth with no place to turn. If the government is allowed to go forward with their plans the majority of the species will have no place to refuel en route to their final wintering sites, molt or rest. It would spell the end.